Thread: are dating and matrimonial sites safe? Are dating sites and matrimonial sites safe? 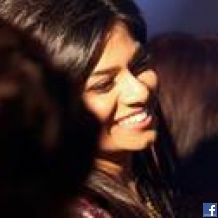 can someone suggests some good Indian sites for dating? and which matrimonial sites are the best. I am a hindu bhramin looking for a relationship and marriage. caste no bar. should be based in pune. age between 25 - 32. Matrimonial sites are safe provided you took care of verification of the selected profiles, until you are convinced that one of them is the right one for you. As far as some of the best matrimonial sites are concerned, here are some of the famous sites in India. I hope you find your best soul mate from one of these sites. All the best. kaumi sharma, even i am in same situation. i am 25 year old, brahmin by caste. we are also searching in matrimony sites..most of info they provide about their financial status is fake, and God knows about their character.